Big round of applause! We have a winner! The Coastal Track is the best walk in Noosa. Not a particularly hard walk, but a stunning one. Here’s why: it starts at the end of Noosa Beach, which is awesome because it starts at the end of Noosa Beach! Following the coast around the headland you get to Tea Tree Beach, the best beach in Noosa. You will probably pass wild turkeys on your way, which, if you are Australian means very little, but if you are from anywhere else is a little strange. If you keep an eye in the sky, it is not unlikely that you will see a koala lazily chilling in one of the tall blue gum trees that line the path. Have a look out to sea.If the swell is good, or if the swell is bad for that matter, you’ll see some of the top surfers doing their thing in the water. Keep looking and you might just see dolphins or the little white puff from a humpback whale. Finish the walk at Hell’s Gate, overlooking Sunshine Beach. Hell’s gate is a notorious hang out spot for turtles, not unlike malls are for teenagers in bad American movies. Haven’t sold it to you yet? Well grab and ice cream from Massimo’s before you start, or if you are feeling brave, get a coffee and get out there for sunrise. That is something you will not regret. Now, before you go bounding up to the summit, just make sure you are at least a little comfortable with heights and exposed rock. The hike starts of easy enough but quickly turns into a steep scramble and basically into a rock climb. This scramble is not that hard though it is daunting, so make sure you are comfortable with that sort of thing. Oh, don’t be scared! Just go do it! Climbing Mt Cooroora in Pomona is cool challenge though it isn’t easy. ‘2km return trip’ I hear you scoff. Well it may be only 2km but that 1km steep climb up will soften your legs and the return will turn them to jelly. We are not trying to put you off here, this popular climb is awesome, and when some people hear jelly legs and copious amounts of sweat they get all tingly with excitement. Quite rightly so, the view from the top of the mountain is absolutely stunning. Besides, what’s the point in a good walk if you don’t break any sweat, eh? If the name Mt Cooroora rings a bell, that is because each July the Pomona King of the Mountain Festical takes place here. This festival centres on a race to the top and back again, the record for which is 20 minutes. Mental. This mellow but long walk through the rural countryside is a great way to unwind and reconnect with nature. Listen to the sound of wind blowing through trees, or bees landing on wildflowers as you wander over rolling hills, past cattle, goats, herds of sheep, through fields, mango farms and banana crops. To get a good view over Kin Kin, head to the top of Perseverance Road. Be sure to bring a picnic for when you reach Grady’s Park or Sheppersons Park where you can also refill your water bottles. Starting behind the picnic area, the Tanglewod Track is well signposted, taking you on an exciting and isolated inland adventure through the rainforest and open eucalyptus woodlands. Perfect if the weather if it is scorching and you don’t feel like becoming a pork scratching. You will finish the walk at Hell’s Gate with stunning views over the ocean. Be sure to have a look down as you might see turtles crashing (safely) around in the waves. Hell’s Gate is awesome. It’s a good walk as well. The Tangle Wood track is an 8.4km round trip but don’t just turn around, head back along the Coastal Track from Hell’s Gate or continue onto Alexandria Bay. Start at the river mouth and walk along one of the paved paths following the river, watching for birds, enjoying the sun and soaking in some of that good old fashioned fresh air. One of the Noosa River Walks is a perfect afternoon stroll. Take a picnic, use one of the free BBQs, people watch, chuck a ball around one of the open spaces or grab a lovely single origin coffee in Gympie Terrace. Top tip: dip your feet in the water and watch the sun go down over the river. The colours in the sky and water are breath taking. Perfect for your Instagram #lovingit #bestwalkever! 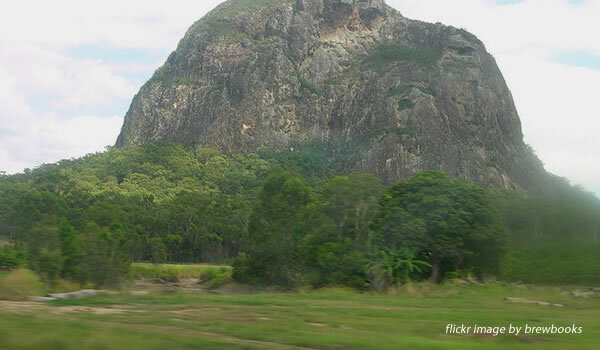 Mt Coolum is a strange volcanic bulge in the Sunshine Coast. Like any good volcanic bulge (not an scientific term) it is resplendent with vegetation and provides excellent walking. The walk starts in forest but as you climb you’ll notice the vegetation shrinking to scrubland. You’ll go past endangered species of fauna, climb on the natural rock steps, climb on manmade rock steps, see loads of cool birds, if birds are your thing, and if you are there in winter, you might be lucky enough to see whales out to sea. It is a 1.6km return trip to the summit, not too difficult, but bring plenty of water, this is Australia. At the top, expect falcons soaring overhead and spectacular views over the ocean and surrounding area. This one day hike is challenging, long, and utterly beautiful. The steep climb up to James McKane Memorial Lookout provides excellent views over the hinterland, Noosa and coastal area. At other times you will be walking through countryside, eucalyptus woodland or rainforest. Make sure you start early and log some hours before it gets too hot! Please bring lots of water and food with you as well as camera. You are going to need those essentials. We can’t have all the walks be through the beautiful Queensland wilderness, now could we? The Tewantin Heritage Trail is a great self-guided urban walk that takes you through the town centre. Pick up a map from the tourist information or download one from here, and learn about the history of Tewantin from the annotations. We love these sorts of heritage walks and wish more places did them. Make sure you stop of for some food at one of the eateries or have a coffee and a biscuit. Cheat! This isn’t a walk! It is a number of great walks that have to make the list because they are all worth doing and the title of this article is top 15 walks in Noosa! Go and find which one suits you. Noosa National Park has been knocking about since its creation in 1939 by the then Governor John Laverack. 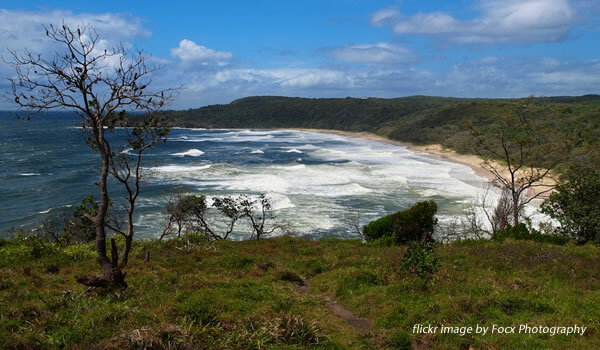 Now, quite rightly, Noosa National Park has become one of the most visited National Parks in Australia. The park is stunning, obviously you know that. It has fantastic views over Noosa Beach and Sunshine Beach. Make sure you take a picnic as there are loads of great picnic areas as well as a number of well-marked walking tracks covering an area of 2290 ha. The walking routes start at the entrance of the park. The entrance to the park is at the end of Park Road, about fifteen minutes walk away from the east end of Hastings Street. There’s a car park at the entrance and if you fancy a surf, First Point is right there. Oh, and one more thing, bring a bathing suit. The best beaches are in in the National Park! Not a particularly hard walk up 265m to the fire tower lookout point. This 360 degree view is one of the best views in Noosa, partially because you are likely to have it all to yourself. So, if you are any sort of self-respecting individual you’ll probably have to shout ‘I’M THE KING OF THE WORLD!’ from the top of the mountain and hope you don’t pass anyone on the way down. In the distance you’ll also notice the Glass House Mountains and if you are lucky you could spot some amazing wildlife including wallabies and the platypus’ strange cousin, the echidna! Starting at another entrance to Noosa National Park, you can take one of the sandy tracks to Alexandria Bay. You will be walking through woodlands and heathlands. Expect to have a wonderful time while you do it. Once you get to Alexandria Bay, don’t be shy. As well as being beautiful and having great surf, the bay is also a renowned nudist beach. Strip down, let it all hang out and watch the waves before heading back along a different track. Remember to put your clothes back on! Alexandria Bay and its tracks are also accessible from both the Coastal Track and the Tanglewood Track. A great place for a short walks that traverses the woods and the beach. Bring a picnic, chuck a shrimp on one of the free BBQs, have a stroll, take a break and read your book. The Noosa Woods are easy that way. You won’t be climbing Mount Everest, but then climbing Mount Everest is bloody hard so you will have a much nicer time here. The Noosa Woods are located at the West End of Hastings Street. Local community groups have, in recent years, done a great job in posting these walks. Feeling up for a long walk? This one will take you a couple of days but if you have the stamina and the equipment it is well worth doing. After all, it is not called the Scenic Trail for nothing. During the walk you will climb up to four lookouts with spectacular views over the hinterlands and coastal areas. Yes, this is hard work and yes you will need to be fit, but camping at either Middle Lookout or Cootharaba Views Lookout, when the sun has gone down and the stars have come up, will make it all worth it. If you like long hikes, you will love this. If you have never been on a long hike before, now is your chance to get started! It is suggested that you leave a car at either end of the walk so you can make it back, or if you are feeling even more brave, then spend a night in Kin Kin, go to the pub, and come back along the Kin Kin to Cooran Trail. A short walk pass that passes through some great rainforest. There are of course, loads of other great walks worth checking out! 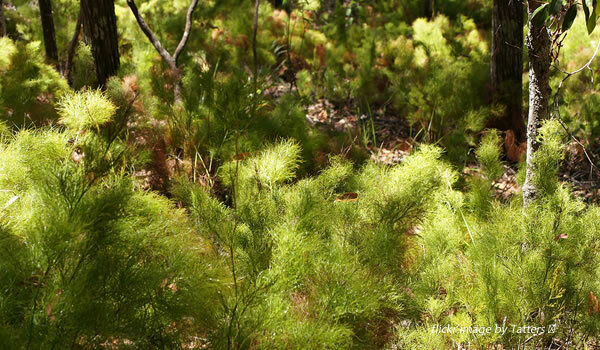 Definitely check out the other walks associated with the Noosa Trail Network and have a rummage through the internet. If you think we left anything out, or have any suggestions then don’t hesitate to email or chuck a comment in the comments section!